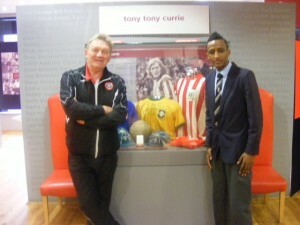 Football Unites, Racism Divides has been taking part in a project to celebrate Sheffield’s football heritage. 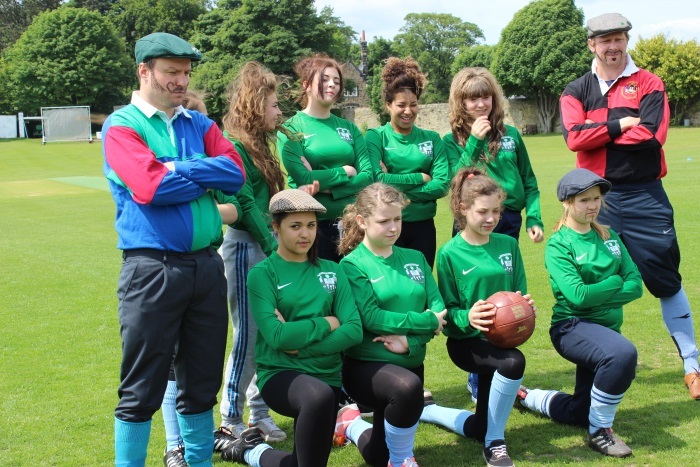 The ‘Sheffield, Home of Football’ project has received support from the Heritage Lottery Fund to promote awareness of the many ‘firsts’ held by Sheffield. 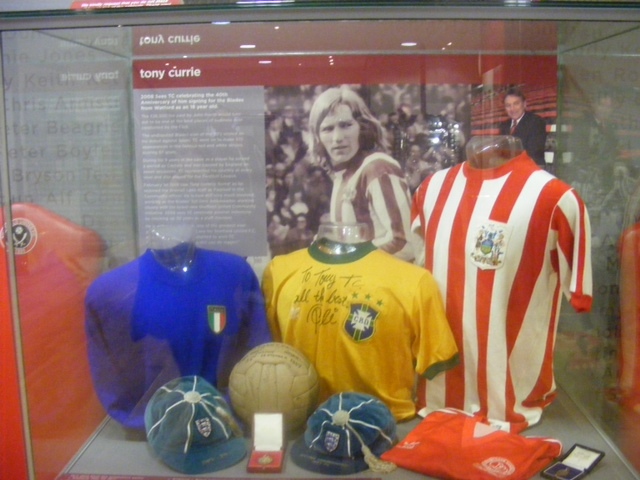 The world’s oldest club, Sheffield FC, pioneered the writing of a commonly accepted set of rules, played a key role in the formation of the FA and were involved in a host of innovations such as the first crossbar, the first corner kick, the first free kick and the first floodlit match. 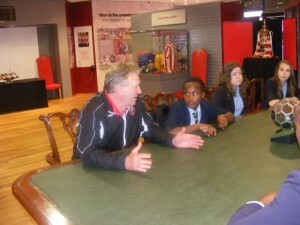 The project has involved four local schools investigating Sheffield’s football history with the help of local professional and amateur clubs, the County FA and FURD. FURD’s main role has been to promote the story of Arthur Wharton, who became the first black player to play in the First Division when he played for Sheffield United in 1895. 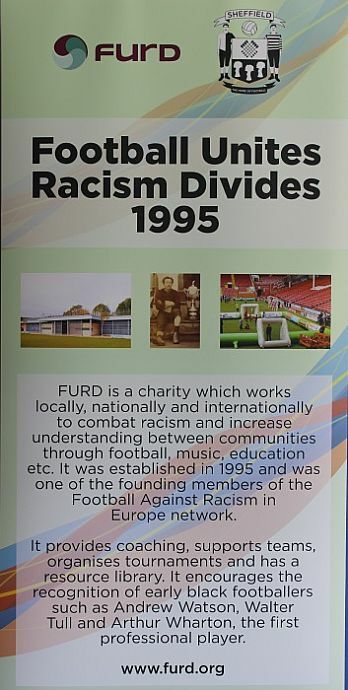 FURD’s home at the U-Mix Centre, Lowfield, is also in an area steeped in football history, being within a few hundred metres of current or previous homes of Sheffield United, Wednesday and Sheffield FC. 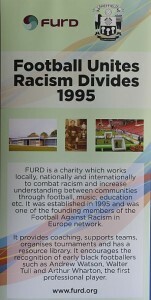 FURD’s public Resources and Information Centre contains a wealth of books and other material about the history of football both locally and globally. 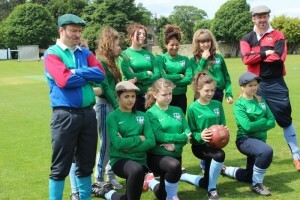 On Wednesday 26th June, the four schools took part in a unique competition at the world’s oldest football ground, Hallam FC on Sandygate Road, Sheffield. They played to most of the orginal ‘Sheffield Rules’, formulated in 1858, which allowed catching the ball and pushing (both the ball and the opponents!) The rules produced a game that had much in common with rugby and Australian Rules football. A leaflet has been produced which is being distributed to Sheffield‘s schools to raise awareness locally of the rich sporting heritage on our doorstep. 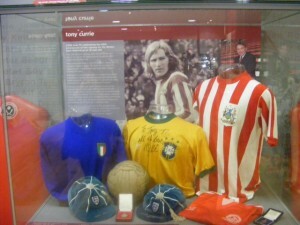 A 24-page programme detailing many of Sheffield’s contributions to the history of football has also been produced. 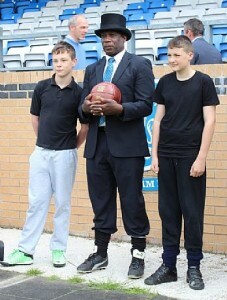 It is hoped that this will be just the start of a bigger push to promote and celebrate Sheffield’s unique sporting heritage. 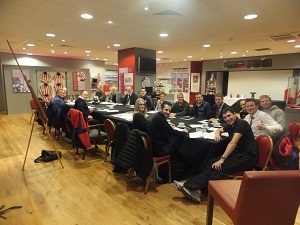 The project team met at Bramall Lane to plan the project. We met in the Legends of the Lane Museum. The beginnings of the project were outlined, from how the Heritage Lottery Fund ‘All Our Stories’ project was developed and submitted through All Saints School to the proposed budget and project timeline. Responsibilities between the four schools were assigned as well as the proposed plans for the promotion for the football festival to be held in the summer.